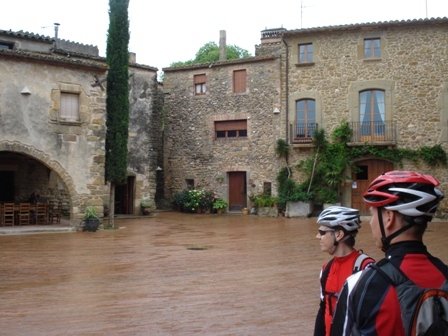 Our second guided ride with Jaume took us east of Girona, over St:a Pellaia (populary known as the Hincapie climb due to the many road paintings with his name) to Monells and via Madremanya back to Girona avoiding the Els Angels climb this time. In all it was about 67 kilometers and still quite an easy ride. 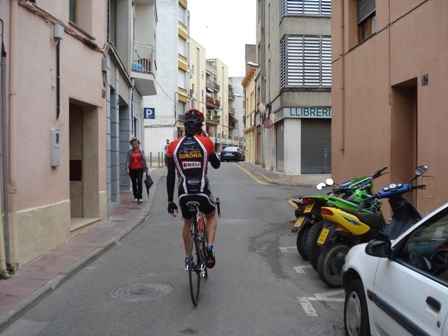 I can truly recommend Jaume and Bikecat to get to know the best rides around Girona. We used him as a guide for the first two days, and got enough tips and ideas to make good tours by our own the rest of the stay. 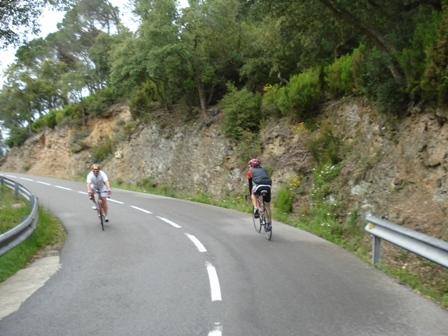 Riding the Hincapie climb from Cassa de la Selva is easy, only 2.5 kilometres of uphill, followed by ten kilometers of downhill. 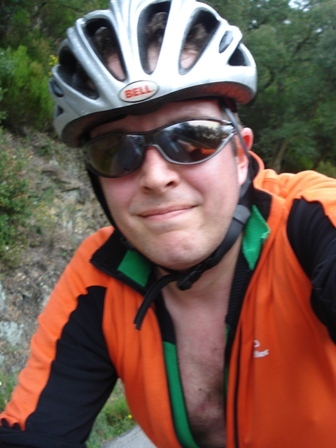 Since the climb was easy, I even took time to photograph myself. Note the advanced air conditioning. 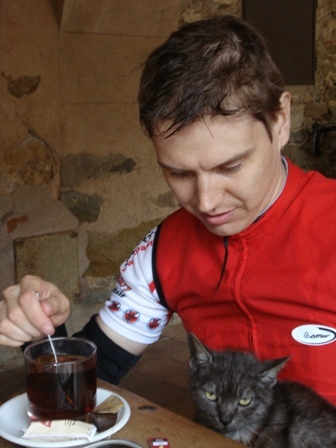 In Monells we had a tea break and were joined by some curious cats. They liked to try their claws on the lycra. Tero sitting with one of our feline friends. 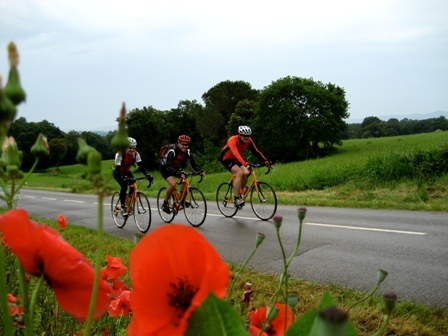 This is one of the classic views around Girona, riding down to Madremanya.